Official SMART Technologies training videos and support documents. The following free training resources will provide you with an overview on how to get started with SMART Notebook collaborative learning software, how to use the Gallery and Lesson Activity Toolkit, and how to create engaging, interactive SMART Notebook lessons. This video shows you how to create simple layers and groups to create engaging lessons. 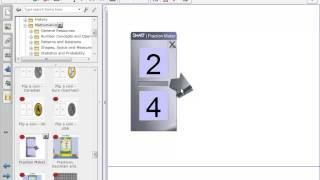 This video shows you how to use the Transparent Background in SMART Notebook software. This video shows you how to search and browse the SMART Notebook Gallery, and shows some examples of activities in the Gallery. This session provides an introductory overview of SMART Notebook collaborative learning software. By deconstructing an existing SMART Notebook lesson, you’ll learn various lesson creation techniques and gain an understanding of the software’s user interface and basic functionality. This session builds on the previous training session Introduction to SMART Notebook Part I: Software Basics by taking an in-depth look at managing and customizing content and resources in SMART Notebook collaborative learning software. You’ll learn how to manage Gallery content, create and add themes and link objects to other resources. Let SMART experts show you how to create content for the SMARTboard. Using Notebook and the lesson activity toolkit, these videos show you tips, tricks and how-tos for creating you own lessons. These videos are to assist in using the pages and templates in SMART Technologies' new lesson activity toolkit 2.0 release. They will give you the guidance for creating the highest quality content for your SMART Board.